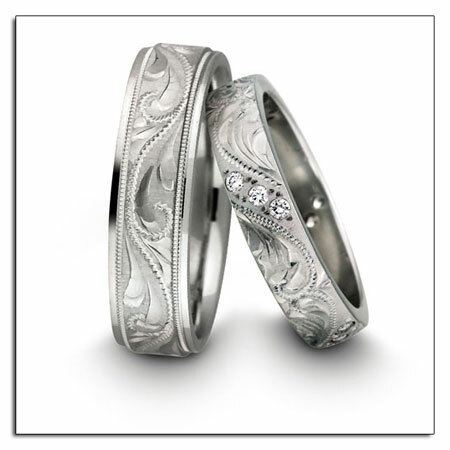 Engraved platinum wedding rings in Modern Bride. 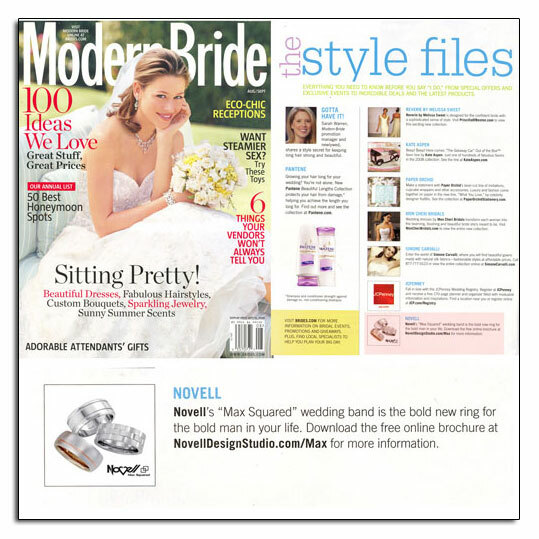 The October/November 2008 edition of Modern Bride magazine features Novell platinum wedding band styles P1695-6GC and P1800-4LC in “The Style Files” section. These rings were also included in the debut of the Platinum Guild layout “The Ideal Match ,” an advertorial which highlights testimonials from brides about their reasoning behind choosing platinum for their bridal jewelry. 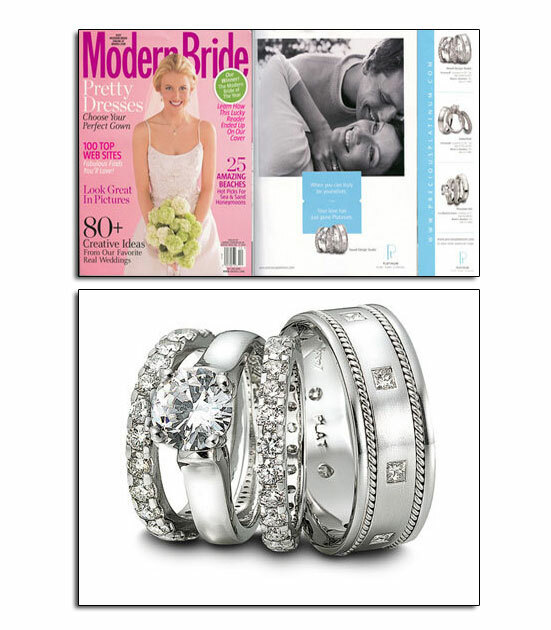 Platinum wedding bands as featured in Modern Bride. 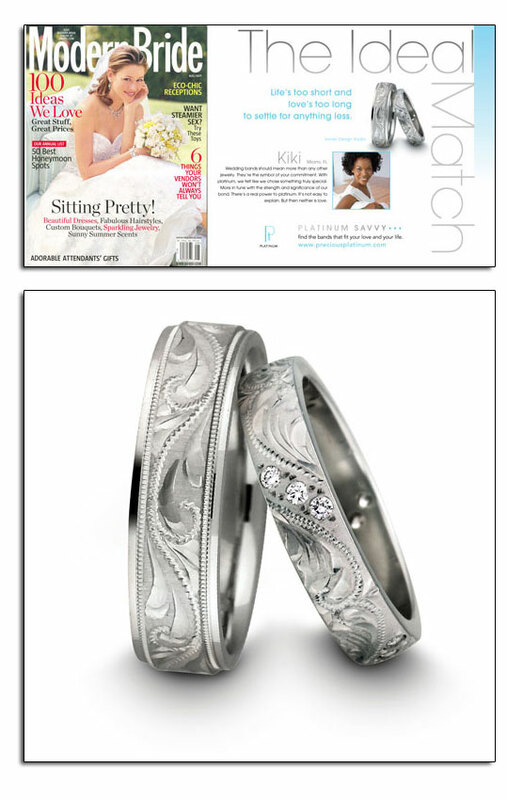 Platinum engraved wedding bands included in “The Ideal Match” platinum advertorial. 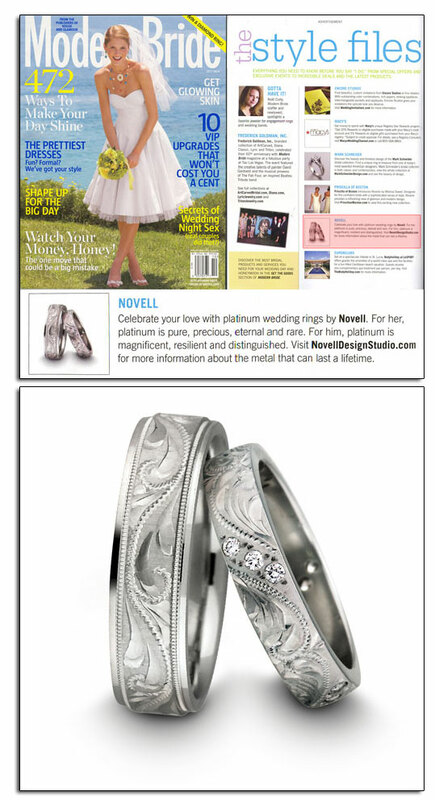 (From Transworld News) The August/September 2008 issue of Modern Bride features Novell platinum engraved wedding ring styles P1695-6GC and P1800-4LC. These rings are included in the layout entitled “The Ideal Match,” an advertorial which highlights testimonials from brides about their reasoning behind choosing platinum for their bridal jewelry. Novell has always held firm the philosophy that platinum is the superior metal choice for both men’s and women’s wedding rings. Yet for each individual, the same metal can also be symbolic of very different things. For her, platinum represents the pure expression of love shared. It is precious, rare and eternal. For him, platinum is a magnificent, distinguished and resilient mineral that separates the man wearing it from those that do not. No other precious metal offers the same level of excellence. Engarved wedding bands by Novell. 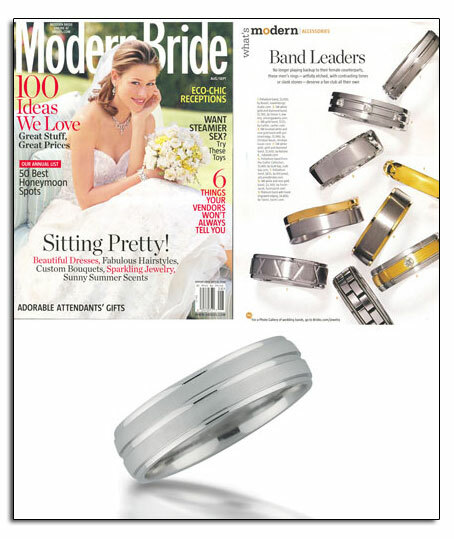 Platinum wedding bands featured in Modern Bride. “Choosing The Right Metal” brochure featured in Modern Bride. 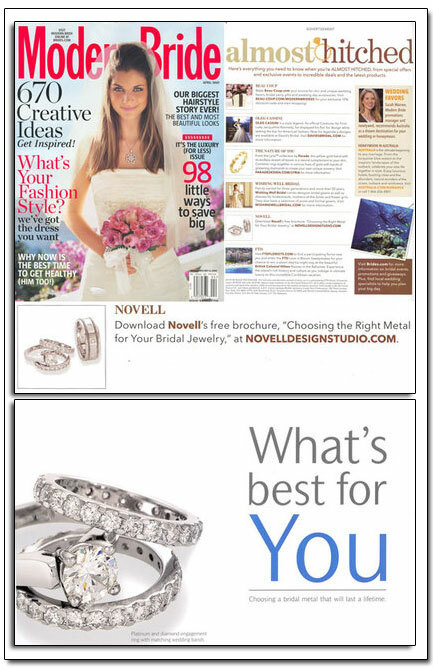 The June/July 2008 issue of Modern Bride magazine highlighted Novell’s innovative new brochure – “Choosing the Right Metal for Your Bridal Jewelry.” This brochure is designed to help the average consumer decide which metal will be the best choice for their wedding band or engagement ring. Download the “Choosing the Right Metal for Your Bridal Jewelry” brochure. View the “Choosing the Right Metal for Your Bridal Jewelry” video. "Choosing the Right Metal for Your Bridal Jewelry" - a free brochure. 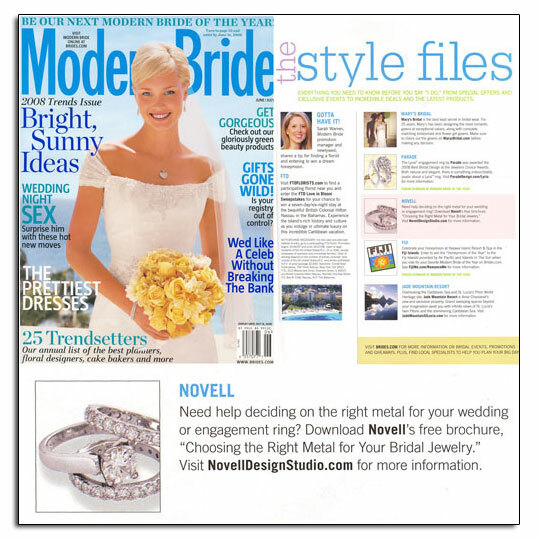 The April/May 2008 issue of Modern Bride magazine highlighted Novell’s latest brochure – “Choosing the Right Metal for Your Bridal Jewelry.” This brochure is designed to help the average consumer decide which metal will be the best choice for their wedding band or engagement ring. 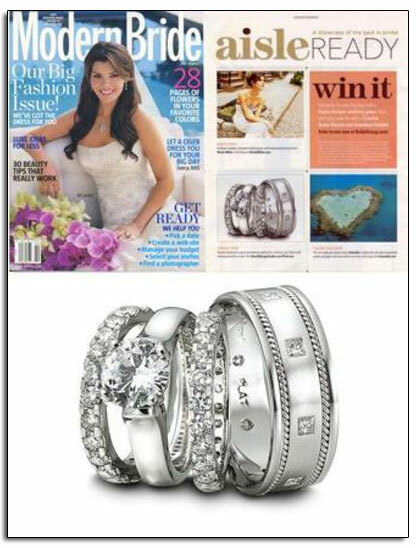 Platinum wedding bands and engagement ring featured in Brides. Download this advertisement featuring platinum wedding bands. Platinum wedding bands and engagement ring in Modern Bride.